This was our first time officially participating in the event and we thought it went very well. We had multiple people from the area who drive electric vehicles come out for the event and discussed reasons who they chose to purchase an electric vehicle and the benefits they have seen from doing so. 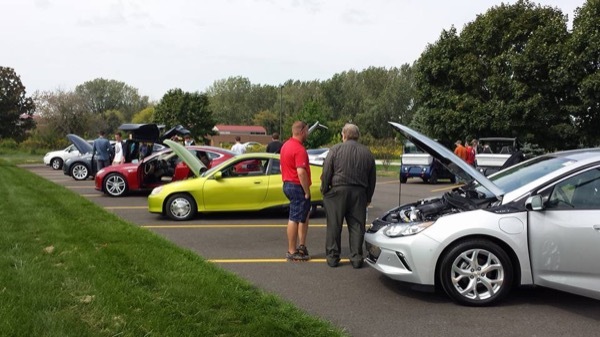 We also had multiple dealerships such as Mike Anderson Chevrolet, Nissan North America, and BMW of Schererville at the event to promote their vehicles. Join South Shore Clean Cities as they celebrate electric vehicles around Northern Indiana. Electric vehicles will be showcased at the open house, both through the vendors and people around the region who own an electric vehicle. Registered attendees report 11,000 electric miles driven.